Remember Apple’s ill-fated Newton, the first personal digital assistant (PDA) to offer handwriting recognition? Cupertino’s original mobile device unfortunately didn’t do a particularly great job of converting handwritten text into typewritten words, prompting Steve Jobs to drive a stake through its heart soon after his triumphant return to the company in 1997. Flash-forward to present day, and Paragon Software has resurrected Newton-style handwriting recognition for a new app called PenReader. 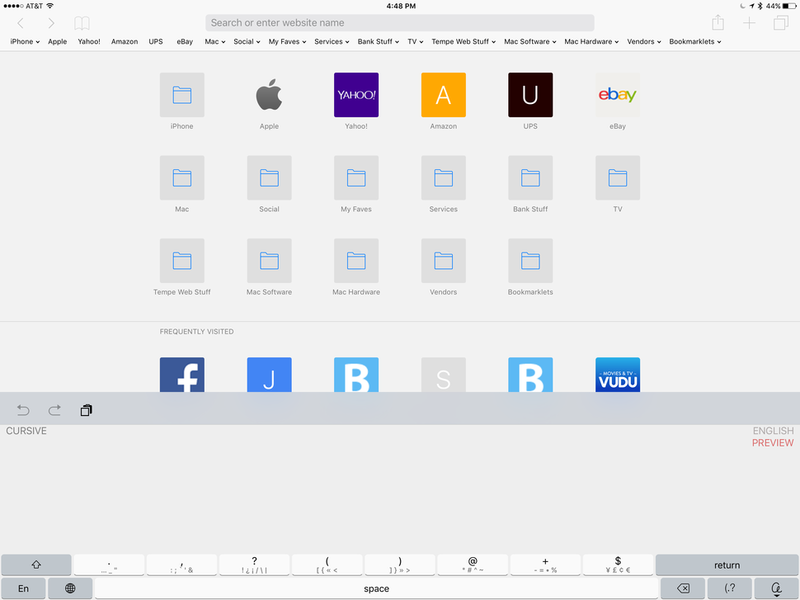 This time, the universal app has been designed for modern iOS devices, where it can be used as a third-party keyboard inside any app for converting handwritten input to text. PenReader works well for converting shorter words into typewritten text (like the handwritten “read” shown here), but for anything more complicated, the results were disappointing. The handwriting recognition technology behind PenReader supposedly dates back to 1968, but unlike Newton, no stylus is necessary. Instead, users write with the tip of a finger. The app is smart enough to work in 38 different languages, each requiring a $1 in-app purchase following a 14-day trial period; all languages can be unlocked for $10. 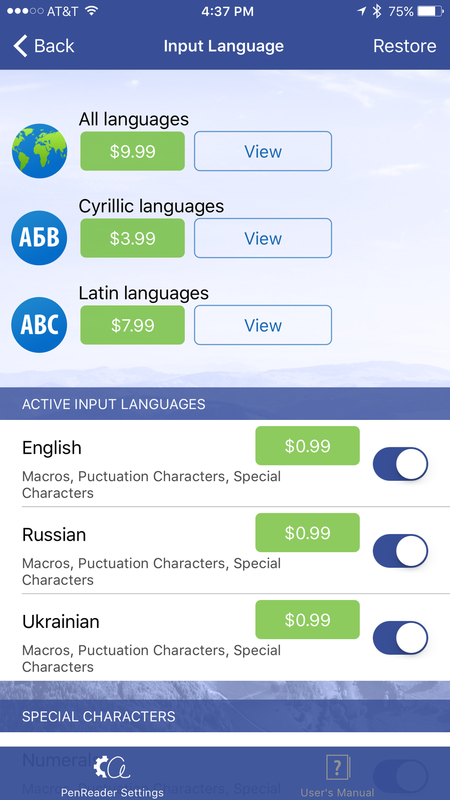 Individual languages can be purchased for $1 each, or users can install all 38 for only $10. PenReader offers four handwriting styles: Letter-by-letter, where all characters are recognized as one; Cursive, for natural writing of full words or sentences; Separate, for those who prefer to write words as separate letters; and Smart Recognition, a hybrid of all three methods. Paragon marketing hypes PenReader as “a perfect match” for Apple Pencil and iPad Pro, which is what initially sparked my interest in the app. But in my tests, I discovered that my finger worked just as well as Pencil did, which is to say, not so much. PenReader 1.0 is a mixed bag in actual use. There’s nothing particularly intuitive or convenient about it and the so-called “handwriting recognition” failed to produce the desired results a majority of the time. Regardless of mode or input method, the accuracy rate was astonishing low in my unscientific tests. For example, after switching to Cursive mode—which must be done by from the PenReader app, rather than the keyboard itself—I tried entering an upper-case letter “J” several times. The software repeatedly recognized that input as either “r” or “e,” no matter how I tweaked the app settings. 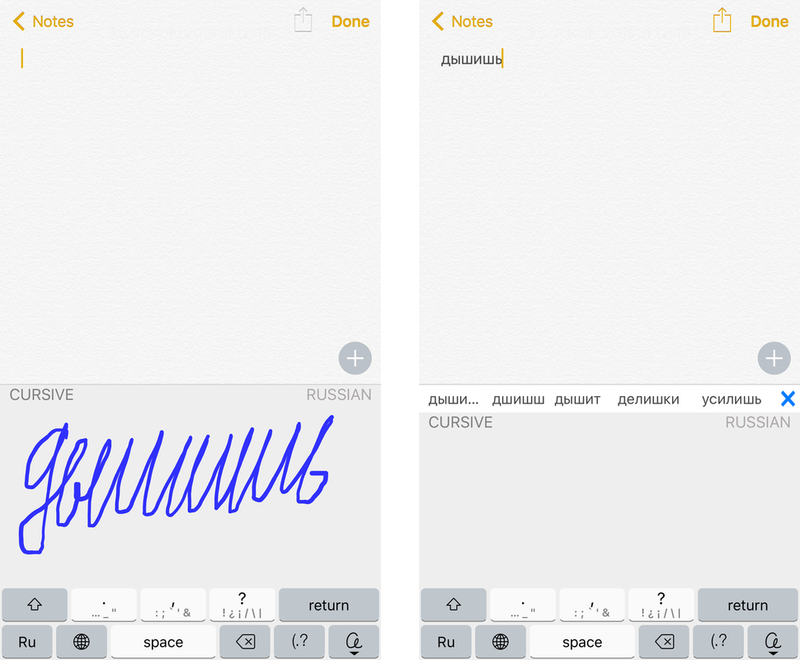 The app did fare better on Russian language handwriting, including cursive, so it’s worth a look for those who speak one of the 37 languages other than English. Accuracy wasn’t the only issue: Although spacious enough on iPad Pro, the handwriting input field feels cramped on smaller devices, even in landscape mode on iPhone 6s Plus. Although you can switch to other keyboards anytime, PenReader would be more useful if the app included an option to temporarily switch to full typing mode, rather than just symbols and punctuation. There’s also a setting to automatically enter a space after entire words are recognized, but I could never get it to work properly. PenReader offers a generous space for writing with or without Apple Pencil on iPad Pro, but things get cramped quickly on smaller devices. 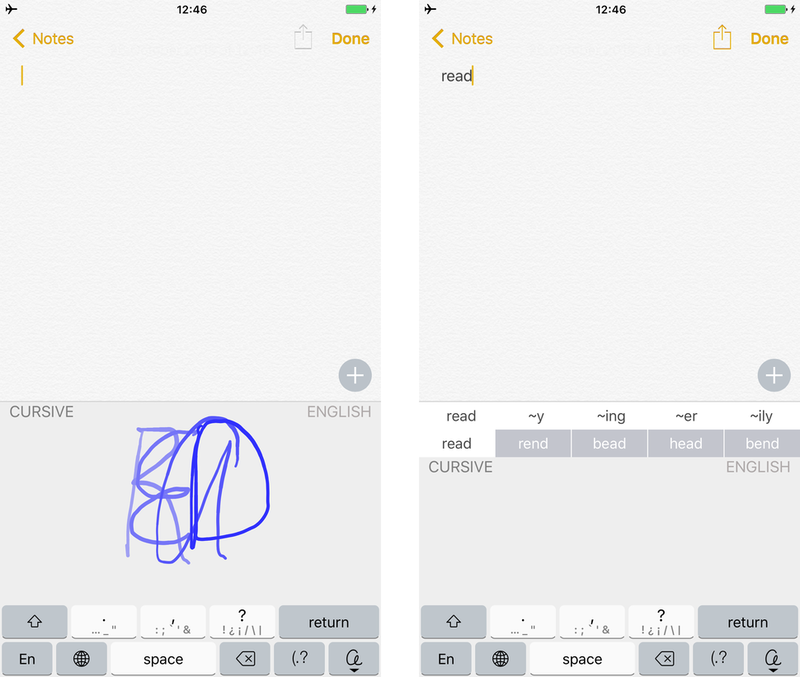 Unless your first language is something other than English or you want to revisit the days when Newton reigned as king of the marginal handwriting recognition castle, PenReader isn’t a particularly accurate, intuitive, or easy to use keyboard app.